A hearty bowl of soup is my favorite comfort food to take the chill out of my Florida blood this Fall. After 4 cold winters, I have finally learned how to cope with seasonal weather. Despite its enticing inexpensive ‘grab-N-go’ factor, I warn you: don’t be blinded by the excessive amounts of saturated fat and bloating induced sodium in store bought soups. 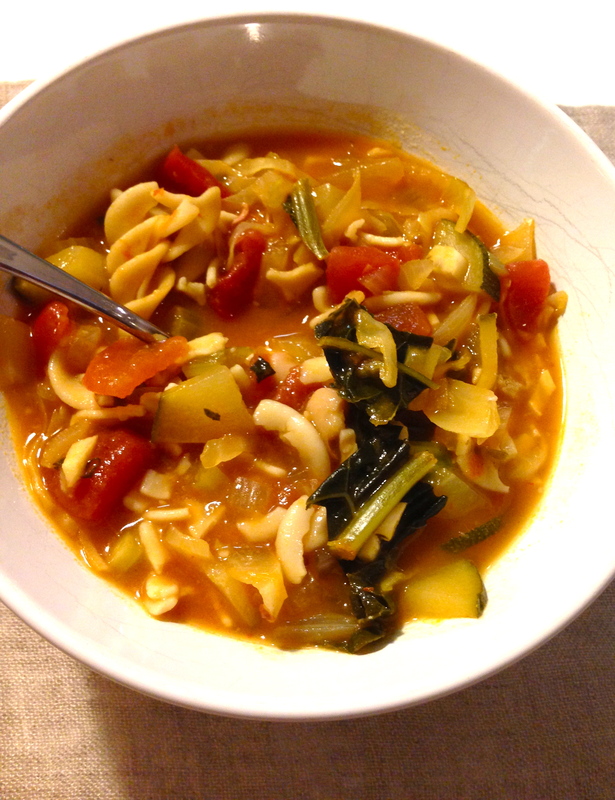 So, I took it upon myself to create my own batch of vegetable laden soup to stock me up for my long week ahead. The combination of vegetables, fiber packed beans, and low sodium broth creates a filling and satiating effect to help you control your appetite. It is a simple way to get in your recommended intake of vegetables for the day: aiding in weight loss, diabetes control, high blood pressure, improved athletic performance, and more!